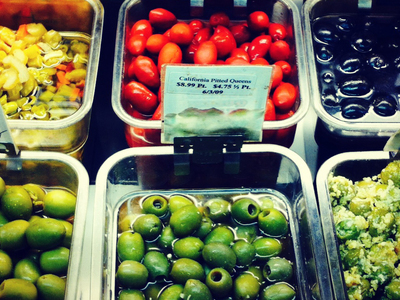 When you walk into Mediterranean Imports it's hard to decide where to lay your eyes first. If you start with the array of olive oils from 15 regions around the world, it's easy to get bewildered. But not for long. 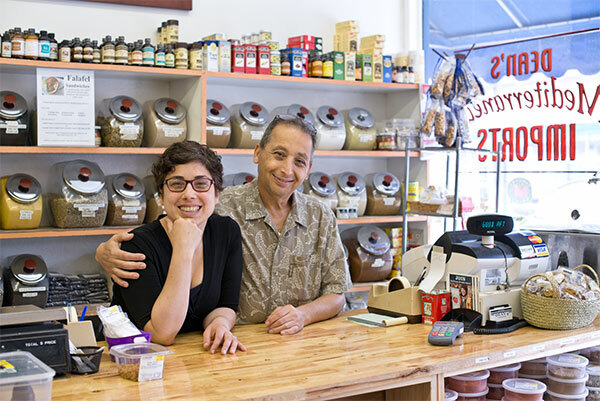 Dean Zaidan and his daughters knows as much about each olive oil as there are types of olive oil in his store. And they are always happy to answer any kind of question about anything he sells. The one he hears pretty often is "what's this?" Even the people who have been loyal customers for the fifteen years he's been at Findlay Market can still find something they haven't tried before. And the regulars live everywhere-across the street, out in the suburbs, even in Columbus and Dayton. Dean's specialty is nuts, roasted on site. Cashews are the best seller, and Dean sells the best of the best-imported from India. There are hazelnuts, walnuts, macadamias, pecans, and pine nuts, too. The only nut he doesn't roast himself is the pistachio. But with several kinds to choose from, they're still an adventure. Clear glass canisters of bulk spices cover the wall behind the cash register up front. They take up about 24 square feet, and you can buy as little as a fraction of an ounce on up. In the back of the store the dried beans, feta cheese, and Lebanese-style yogurt come in lots of varieties too. The flat pita breads range in size from a few inches to a foot-and-a-half across. There are cookbooks on Greek, Lebanese, and Indian cuisine. It can take a long time to walk the short distance from the front to the back of the store. That's because you'll want to linger over the colorful jars and packages of pasta, sauces, chocolates, jams, jellies, vinegars, teas, and cookies. If you drink it all in then you won't miss the real drinks like mango juice, ginger beers, and specialty sodas. Dean grew up in Beirut, Lebanon, where delicious food was a way of life. His mother was not only good at cooking, she was famous for it. Friends were always asking her to cook for parties and special dinners. He emigrated to the U.S. in the 1970's. Two years working at an uncle's wholesale nut business in Detroit inspired him to start his own business, and he soon opened Dean's Nuts at Findlay Market. A few months later he began to offer other Mediterranean fare like hummus and pita bread, and changed the name to Mediterranean Imports. That was long before you could find such things in every supermarket. Dean has continued to add products over the years, attending specialty food shows in Chicago and New York to look for unusual items that will appeal to his food loving customers. His daughters have taken over the reigns, and share their father's passion and energy for food and the Findlay Market community. The result is that they now operate one of Cincinnati's finest gourmet markets.